Brenda comes from a family of real estate agents and having lived around the world, she knows how important the home search process is. She enjoys helping her clients in their search for a home whether you are a first-time homebuyer, a growing family, or 55+ and older. Being an investor herself, assisting investors is also a passion of hers. She is very helpful and patient whether you need hand-holding or some guidance or in between. In her former life, Brenda was a tax accountant. 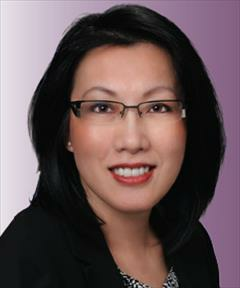 She is still a licensed CPA in Texas and speaks fluent Cantonese. In her free time, Brenda enjoys reading and spending time with her family.